You are here: Home / Family / Parenting / What Lessons Can We Learn From Fairy Tales? Fairy tales, in their telling, have long been a source of fond memories between parent and child. Many have inspired countless movies and toys, providing countless hours of entertainment and nostalgia. 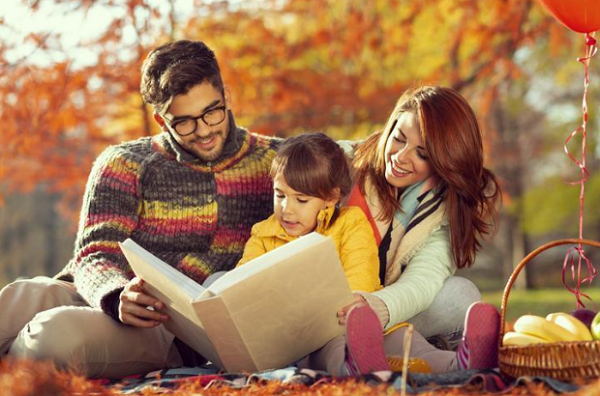 Given how widely known these stories are, it’s not surprising that numerous life lessons can be drawn from their tellings, many of which have helped children the world over as they transition to adulthood. Disclosure: This post is sponsored by BookOutlet.ca. The greatest weapon we wield throughout our lives is our character — how we treat one another, our ability to sense danger in situations where it might not be apparent and to let our hearts guide our path. These idioms are typical pillars to many Disney-esque and other tales, but that doesn’t make them any less true. Regardless of what others may think — you can be your own hero. Take Mulan for example; she certainly didn’t wait for someone to come to her aid, or let others face her aggressors in her stead. Ultimately, it is Mulan who saves the day, proving that anyone, regardless of size, social standing, or wealth can be the hero. Poor Aladdin. 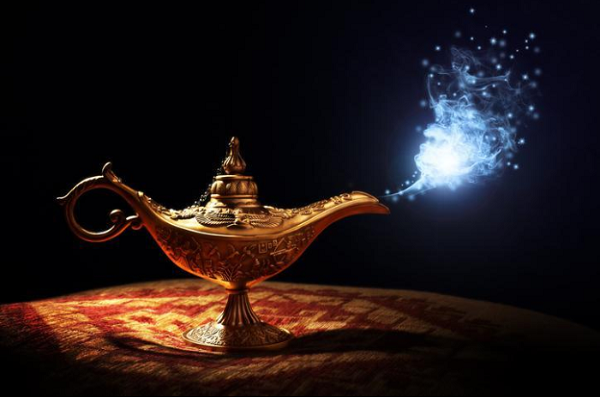 With the magic lamp in hand, his only desire was for the Sultan’s daughter to fall in love with him. Knowing that he would need to become a prince in order to wed her, he wished for untold riches from the genie. In spite of his best efforts, Aladdin’s illusion was ultimately unravelled. The point is, lying might be easy to do, but eventually, the truth shall be known. We’ve all heard the phrase, “Don’t judge a book by its cover”. Perhaps most greatly exemplified in the tales of Snow White or Beauty and the Beast, we learn that things are not always what they appear to be — people who look harmless can be dangerous and those who appear dangerous can be harmless (think of the witch in the form of the harmless little old lady or the seemingly ferocious Beast). Remember, all that glitters is not gold! Remember Rumpelstiltskin? He’s the not so noble antagonist that was always up for a good deal. And like a less than honorable mobile or cable company, he was used to coming out ahead because people simply didn’t take the time to read the fine print. It’s true that none of us are fans of reading End User Agreements (and as a result, many of us don’t) but if Rumpelstiltskin has taught us nothing else, it’s that when someone wants to sell you something, don’t be too hasty and read the darn contract! This one is especially poignant and can be seen in so many different tales. The key take away with this one is to dive into something even if there’s a chance you might fail. As adults, this is something that many of us neglect to do. Trying something new will lead to failures — of that, there is little doubt — but it will also help you to experience more of what life has to offer and help you uncover your hidden passions. Remember the Three Little Pigs? The guiding theme of this tale is that if you’re patient, plan ahead, and work hard, your efforts shall be rewarded. Sure the first two pigs built structures that could be called homes, but their lack of effort meant that their homes were ineffectual at keeping them safe from the wolf. It is only through the last pig, who built his home out of brick, that they avoid catastrophe. The lesson here kids: don’t cut corners! The Grimm tale of A Fisherman and His Wife tells the story of a man who catches a magic fish. He decides to let the fish go, a decision that doesn’t sit well with the fisherman’s wife. She demands he returns to the fish regularly, wishing for increasing degrees of wealth and power. The man implores his wife to be happy with what they have but she will not relent. Eventually, the magical flounder takes away everything that he granted the fisherman and his wife, leaving them in the same state as when they began. Though most of us will not encounter a magical, wish-granting fish in our lifetime, the moral stands out clear as day; greed will only bring you trouble. While fairy tales are fun to read, each of them also offers sound wisdom that will help guide us in our own lives if we allow ourselves to contemplate the morals of the story. 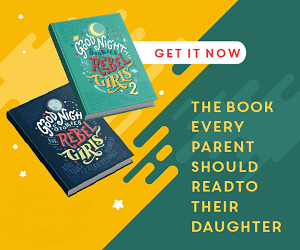 If you’re looking to share a favourite tale with a young one, or instil in them the life lessons that will help them as they transition to adulthood, online bookstores like BookOutlet are sources for all your fairy tale needs. I totally agree with your summary of Fairy Tales and the lessons contained within them. Pretty much every fairy tale has some sort of life learning meaning in there stories, and I think more of this generation should read some fairy tales! As a kid, I loved the Coloured Fairytale Books. I remember taking each one out of the library. I’ve bought a few over the years and am now lending them to my 11-year-old to read. There are some incredibly important lessons that we can learn through fairy tales. Learning doesn’t have to be boring, Reading a great story is certainly a fun way to learn. I feel that “Trust Your Instinct, Be Kind, and Listen to Your Heart” is so important. I find most fairy tales have a moral to their stories. They are not just entertainment. Fairy tales are like fables. There’s a lesson or a moral to be learned from each one. But a lot of fairy tales are dark (Cinderella being mistreated by her step mother and step sisters, Snow White being put into a deep sleep, witches casting spells). They could also scare some children. This is a great post. I love reading Fairy Tales with the kids and talking about what they represent and are about. I love the message of following your heart! More Reading and less electronics. Yes,I think your correct.I love fairy tales! I love reading fairy tales as an adult from an adult perspective. have always loved fairytales ,and Fables. Lets your imagination soar and yes, they usually have a moral or lesson. i have a book that is of a lot of fairytales in their original form! Really scary and sometimes morbid part in them, not versions you would read to a child! They really do teach some important lessons!